"This is a weekly ride for all types of cyclists. The ride will cover 10-15 20 miles. All bikes are welcome. 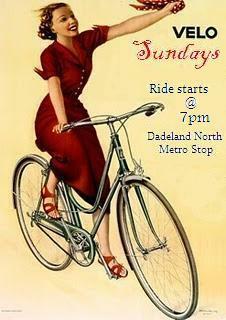 Meet up in front of Dadeland Station (near the Dadeland North Metrorail Station). Water, helmets, and lights are recommended. Costumes, funny hats, and bells are always appreciated." Due to popular demand, rides will now cover 20+ miles. Thanks for posting, Rydel!